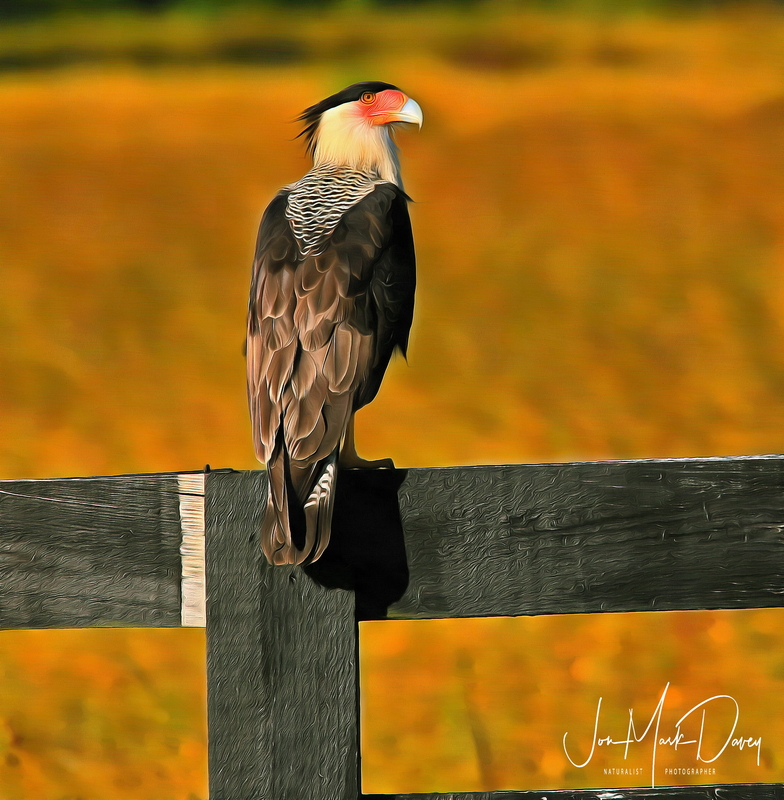 Over the years while traveling from our home in South Florida to destinations to the north, we often see beautiful Crested Caracara along the Eagle Trail in Central Florida. These birds were once many, ranging from the grasslands in southern Florida, north around the Florida panhandle, then west around the Gulf Coast, and south through Texas toward Mexico. Crested Caracara along the Eagle Trail in Central Florida. Once upon a time, many years ago, you could see these beautiful, large, Falcons by the dozens cleaning dead carcasses from the fields and roads. The Florida Wildlife and Audubon associations now tell us to expect to see fewer than 200 where there were so many of them and almost none along the coast until you are deep in South Texas. Most wildlife photographers, birds especially, delight in tracking these unique birds through the pastures and grasslands, closer description is savannas, from Indiantown Florida, north and west near the Lake Kissimmee basin along Canoe Creek Road. My first sighting of these beautiful birds happened one late afternoon while my wife and I were driving east on Florida 60 coming from YeeHaw junction, then later in Kissimmee Prairie State Park and Joe Overstreet landing along the east side of Lake Kissimmee. Probably the easiest way to see them the first time is to take the cutoff road from Canoe Creek headed toward Joe Overstreet. Watch carefully for them, best spotting them on a fence post looking for road kill.